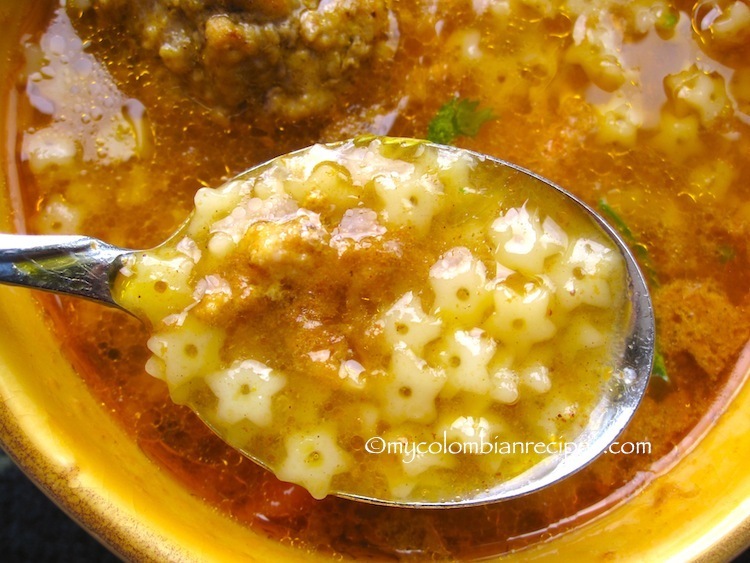 I was craving a good hot soup last week and this star-shaped Pasta and Meatballs Soup was just what I needed to warm up on a cold fall day. This soup is rich, soothing, flavorful, and very easy to make. 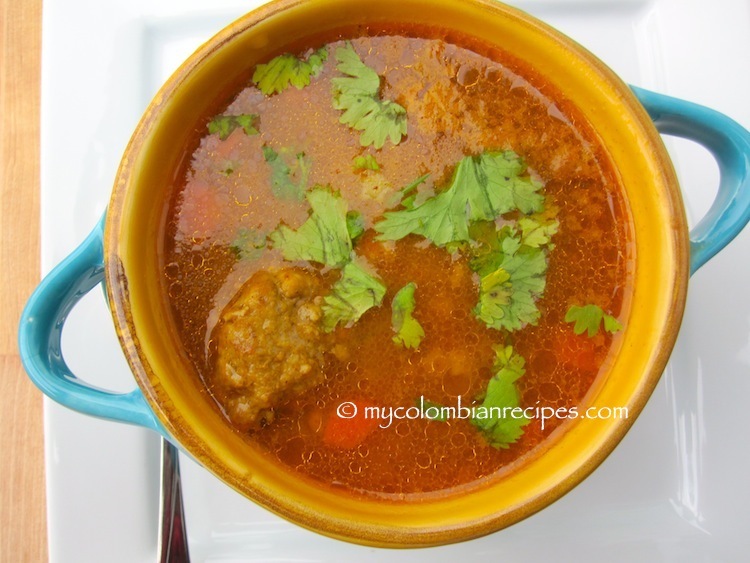 Growing up in Colombia, a bowl of soup was served in my house with lunch or dinner every day. 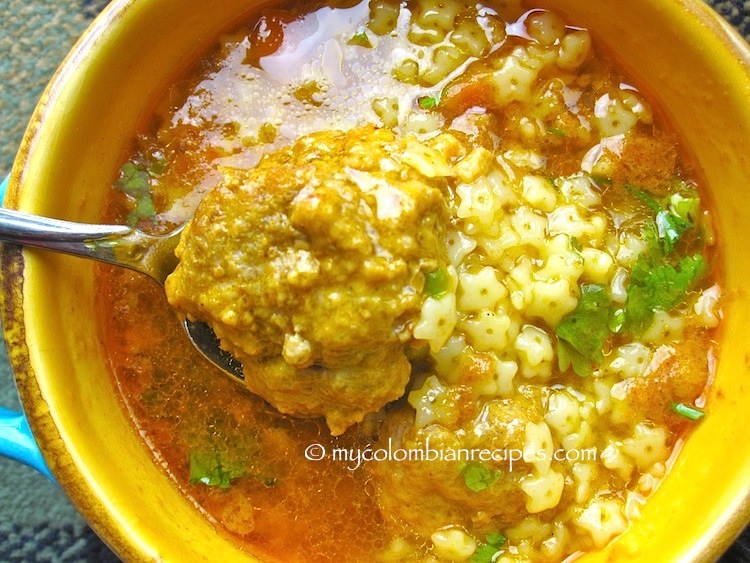 My mom’s Sopa de Estrellitas con Albóndigas was one of my favorites. 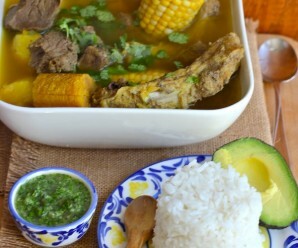 The flavors of this soup remind me of my childhood home in Colombia and make me feel warm and cozy. 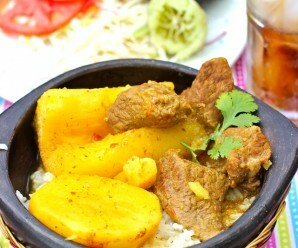 In a large bowl, combine the beef, pork, egg, aliños, salt, cornmeal and water. Knead with your hands until well mixed. Shape the mixture into 12 small meatballs, set them on a plate. In a large pot over medium heat, place the aliños, carrots, water cumin. Bring to boil and reduce heat to simmer. Add the meatballs to the broth, one at a time. 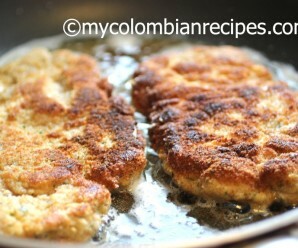 Cover and let cook for 40 to 45 minutes over medium-low heat. 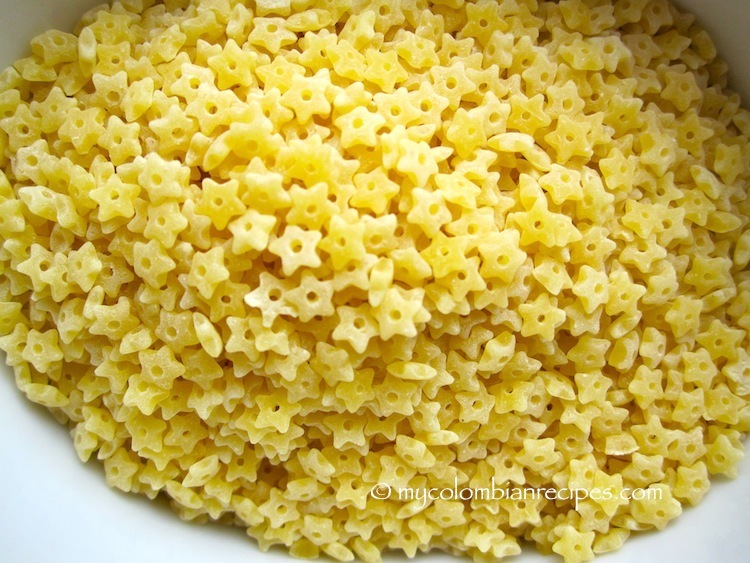 Add the cooked pasta and season with salt and pepper. Sprinkle fresh cilantro and serve immediately. With it being so cold, this soup has my name written all over it! When can I come over? What about tonight :)…Thanks, Belinda! I have always wanted to make this soup. It looks so pretty with the stars. Pinning! My grandmother used to make a soup like this all the time! 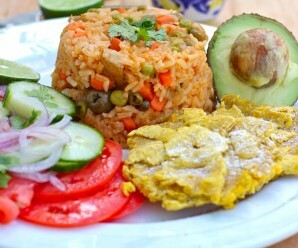 Perfect comfort food. Interesting!! I wouldn’t have thought to put meatballs in soups…. Different,but sounds tasty! Thanks, Dinie! Meatballs are fantastic in soups! That broth looks so rich. I know my son would love this, he is such a meatball freak. My kids love this soup !!! Try it, Chris! Made this soup last night for dinner and it was a hit with the kiddos. It was delicious. Thanks for all your family recipes.